Now Available at Watershed Kitchen & Bar! Now Available at Felice Urban Cafe! Now Available at The Cleveland Bagel Company! Now Available at Tremont Tap House! Now Available at Tremont Convenience Food Mart! Now Available at Dave’s Supermarket Ohio City! Now Available at Butcher and the Brewer Butcher Shop! Now Available at Bier Markt / Bar Cento! Now Available at Il Rione! Now Available at Wonder Bar! 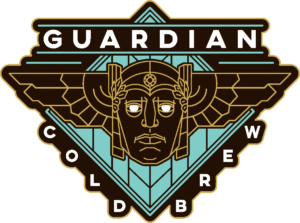 Sign up to hear all the latest Guardian Cold Brew news!